PHS Reading Room, August 2015. 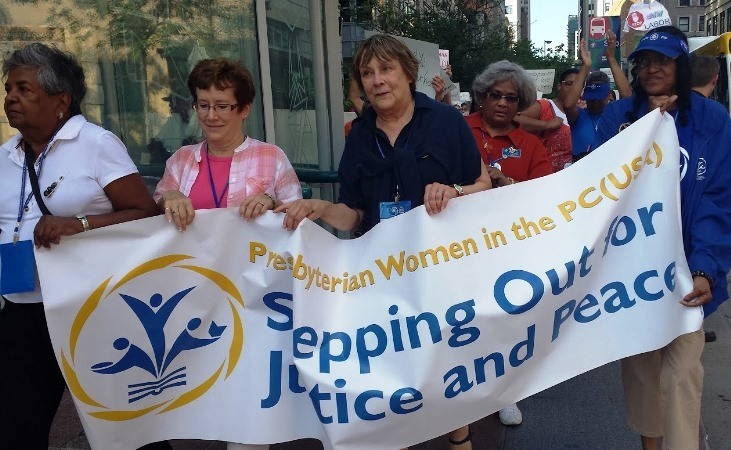 Churchwide Gathering of Presbyterian Women, Minneapolis, MN, June 2015. At the Presbyterian Historical Society, I have racked up frequent flyer miles like never before while connecting with other PC(USA) staff and volunteers, pastors, and laity at the Presbyterian Women’s conference, Big Tent, the Covenant Network Conference, and the Polity Conference; spent productive hours in Louisville at the Presbyterian Center; and shared in worship and adult education programs at congregations in California, Minnesota, and Pennsylvania. All of that travel, all of that living out of a suitcase, can be unsettling. It can also be centering. As I visit with faithful Presbyterians across this country, I hear your stories, dreams, and hopes for this denomination. Our conversations instruct me on the deep desire you have for the types of resources PHS provides: historical narratives, living history films, and interactive exhibits that share the long and ongoing legacy of Presbyterian witness to the work of God in Jesus Christ in our communities, country, and world. What you share with me clarifies the direction PHS needs to travel in the coming months and years. 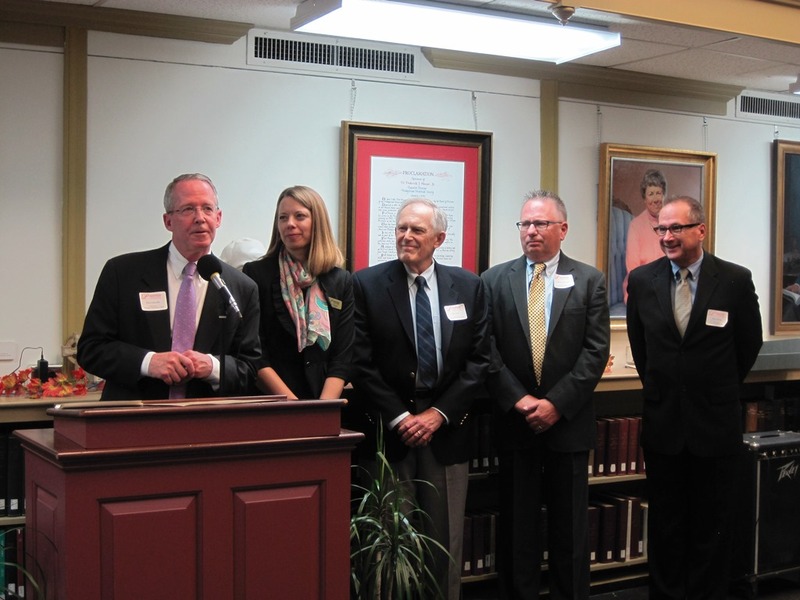 Our Fall Open House, with leaders of Westminster Presbyterian Church, West Chester, PA. October 2015. Which brings me to another part of settling in at PHS: my daily work with staff and our board. This place is humming! From my first steps each morning along our new Heritage Walk, where I read the dedications inscribed on personalized brick pavers, until I return to my car at the end of the day, passing by the historic A.S. Calder statues we are conserving for future generations, I am immersed in a hive of purposeful endeavor. Our highly skilled staff works diligently to serve Society constituents through our mandate to collect, preserve, and share the history of American Presbyterianism. Our terrifically supportive board members bring wonderful ideas and resources to the table. My first six months have found me learning a great deal from both of these devoted groups. Together, we are drawing upon the latest in technology and the best practices of libraries, archives, and museums to reach more congregations, seminaries, scholars, and members of the public who are interested in history. While continuing to provide stellar reference services, we are growing our digitization program and “Pearl” online archives. We are collecting records that fill out key collections and address current issues in our church and society that future scholars will value. We are considering new and innovative ways to partner with other institutions to share our Presbyterian and ecumenical stories more broadly. Of crucial importance, we are connecting meaningfully with more churches. 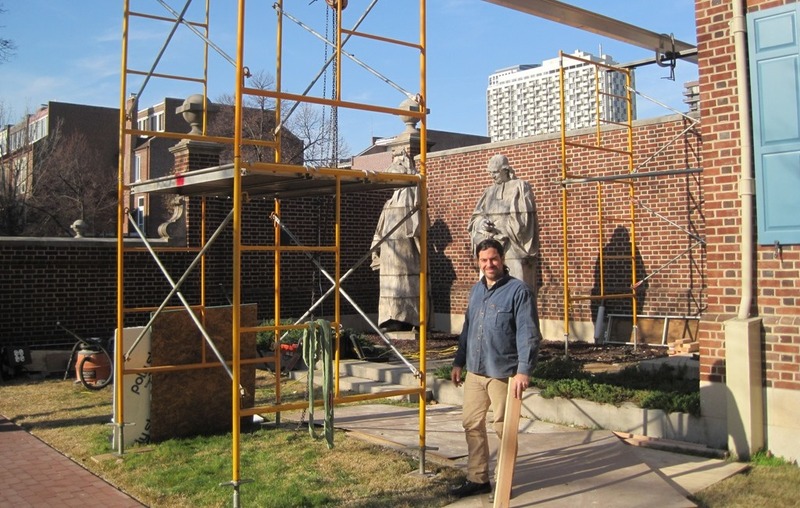 Statues conservator Seth Gartland standing next to Heritage Walk. The statue of James McMillan was the first one removed. December 2015. All of this work requires the support of the national church, congregations, and mid councils, as well as hundreds of individual donors. If you have not made a financial contribution to PHS in 2015, I encourage you to do so now; click here to donate online or to become a Society member at our individual or group levels. To give in other ways, please contact Deana Stuart at 215-928-3865. A donation of any amount shows your appreciation for the stories we are sharing and the other work of our historic ministry.